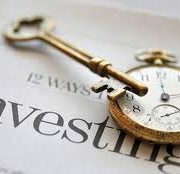 Recently I was discussing with one of our clients as to whether they needed investment or not and I realised very very few of our clients started their business with outside investment. Before you go looking at raising capital I would strongly suggest looking at the following. What do you want the investment for? Sometimes business owners expect to need a lot of cash to start up, Often you don’t. For example we have assisted one of our retail clients to get 12 months rent free on premises. This reduces their need for investment. Can you work with an outside investor? 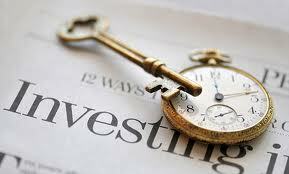 By their very nature entrepeneurs like doing their own thing, Investors want a return on their investment, Nothing else. Richard Branson floated Virgin on the stock exchange , had a few stressful years and then bought it back. Reducing Debtor Days – 10 Ways to get paid! Reducing your companies Debtor Days will improve cash flow, reduce the risk of bad debt and decrease financing and interest costs. So there’s a lots of reasons to do it! But how? Improve the flow of documentation. If you are presently raising invoices once a week consider raising them once a day. The faster your debtors have them the faster they can pay. Go digital! If you must have proof of delivery dockets or signed invoices scan them immediately and your time spent filing and finding dockets will be reduced by up to 80%, This will allow you to provide the documentation your customers need fast as well as reducing the write off’s from missing documentation. Do My Books have an IT partner who provides an excellent scanning solution. Contact us if you need further details. Keep track of what your doing. Every time you contact a debtor by phone or email log the communication in your accounts or CRM package. If you don’t have one or don’t know how to do this contact us we’ll help you out. This will allow you to see the debtors you are spending too much time calling and if you are not around it will allow your partners and colleagues to see who you have been calling. Offer a settlement discount. If you are paying large overdraft interest rates it may be beneficial to offer your debtors a small discount for paying within 30 days say 1.5%. Email Statements. I’ve been in so many offices and seen people trying to fold, envelope and put stamps on 500 statements. WHY? Email them to your debtors save at least 55cent on each statement from postage let alone time spent, printing and paper. You will also have an electronic record of when the statement was sent so it cant get ‘lost in the post’. Use technology work smarter! If you don’t know how to email statements again Phone us we can help you SAVE! Badger people. This is unfortunate but it works. If a debtor is slow to pay you have to badger them, Phone ever day don’t stop until you have been paid. You might be frightened of loosing a customer but a sale isn’t a sale until its paid in full. Sometimes in credit control you have to badger your debtors! Work fast. There’s no point in chasing a debt for two years to find the company has gone into liquidation . If your not having any luck in collecting a debt go legal as soon as possible. Monitor the situation, Calculate your debtor days monthly and watch them very carefully. If you don’t they can easily get very high very fast. Incentivise your staff, If you have sales people working on commission hold back a percentage of their commission (or it all!) until the invoice is paid. This will give them an incentive to get involved int he debt collection process. Without a doubt 2010 will be a though year for Irish SME’s but by working smarter you can ensure your business not only survives but thrives! If you need any advice on your software, processes or generally debt collection feel free to contact Ralph for a free consultation and business review on. We can also provide training on improving your debt collection process. https://www.domybooks.ie/wp-content/uploads/2017/10/logo.png 0 0 admin https://www.domybooks.ie/wp-content/uploads/2017/10/logo.png admin2010-03-07 12:05:352010-03-07 12:05:35Reducing Debtor Days - 10 Ways to get paid! Will your business survive 2010? Almost every business owner I speak to at the moment is having issues with their cash flow and unfortunately more business’s will fail in 2010. You can have thousands of great customers and make huge profits but without cash flowing through the busines it will fail. Despite what the advertisements say Banks are still declining lots of loan/ overdraft applications so micromanaging working capital is critical. Managing working capital involves ensuring the business remains liquid by balancing the need to keep adequate cash to meet obligations on one hand and on the other hand not being too conservative and utilising the available funds. Sounds good but how can we do it, Most important is the matching concept (sounds exciting doesnt it) This means long term assets (fixed assets: Buildings , vehicles ect..) must be financed by long term funds, (Debt/ Equity) , Short term assets can be financed with short term funds (Creditors/ Overdraft). Mis-matching can have lead to serious issues, for example if a long term asset is purchased using an overdraft, The overdraft may expire due to a change in circumstances. This could have disastrous effects for the company. The ‘prefect/ideal world (never happens! )’ current Ratio is 2:1 so even if the current assets halved their would be funds remaining to pay creditors but presently in business in Ireland 2010 any figure above 1.5 is very healthy. If the current ratio falls below 1:1 there is likely to be serious liquidity issues. https://www.domybooks.ie/wp-content/uploads/2017/10/logo.png 0 0 admin https://www.domybooks.ie/wp-content/uploads/2017/10/logo.png admin2010-01-07 14:04:572010-01-07 14:04:57Will your business survive 2010?